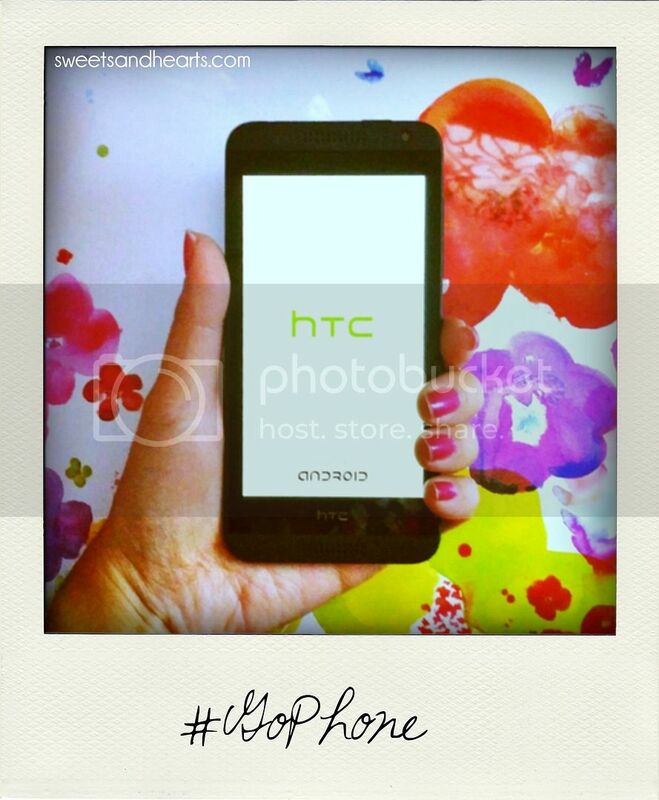 #GoPhone and Get on With Your Life! DISCLOSURE: This post is sponsored. All products mentioned and reviewed on this page are compliments of AT&T. All opinions of the products are my own. 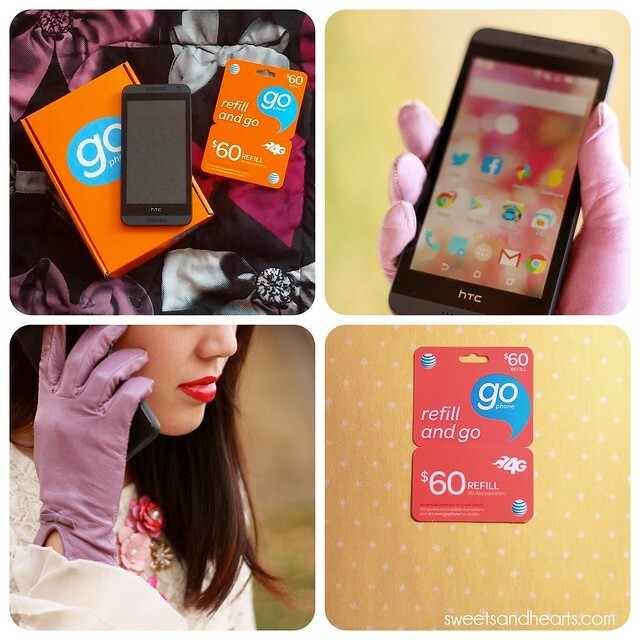 Last month, I partnered with AT&T to try out a GoPhone for 30 days. Armed with my very own HTC Desire 610 and an entire month of unlimited data, calls, and texts, I basically had everything I needed in a phone and the flexibility I wanted to fit my personal lifestyle! The HTC Desire was just like my old smartphone but with an unlimited plan, so switching was actually extremely easy once I backed it up with all my contacts and favorite apps. In addition to the unlimited texts and calls, I had unlimited data which meant I could Tweet, Instagram, check blog stats, send e-mails, and use the traffic/map apps without worrying about going over my data plan (which happens more often than I'd like to admit). Having a GoPhone means you can pick the phone (even an iPhone!) and the plan to fit your needs without making a commitment,. No annual contract! Again, pick the plan based on your lifestyle and budget, and change it when you need to. There are even options to pay month-to-month or refill as necessary. Refill cards are available and thousands of retail locations. Signing up for auto-refill is easy, too. Different rate plans offer great value for basic messaging and smartphones. If you're an internet savvy social butterfly, you can get a plan with unlimited everything. If you don't use your phone that much or only want to call and text, choose a plan with the basics. It's up to you. Choose from the latest Android and Windows devices, including smartphones like the one I got to try out (I got an HTC Desire 610). Use your own phone if you want. GoPhone is compatible with most phones (even iPhones, like I mentioned above), so you can sign up with the phone you already have. All you have to do is insert a GoPhone-activated SIM card (check compatibility here). AT&T's reliable 4G LTE network makes it easy to stay connected when you need to the most (ahem, when you get lost on the way to a sample sale in the city and the navigation needs to re-map a few times). I know what it's like to be stuck in a typical 2-year contract, so it was nice to get a month of complete mobile freedom, knowing I could easily extend or change my plan when I wanted to. The GoPhone offers so many different options, and I like that it takes into account the fact that not everyone's needs are the same. It allows you to take charge without sacrificing the latest technology. Learn more about making the switch on AT&T.